You've got a thing for pretty and trendy accessories? Then this store we spotted in Hindustan Road is definitely a worth visit to pick some boho chic jewellery and natty handloom accessories. 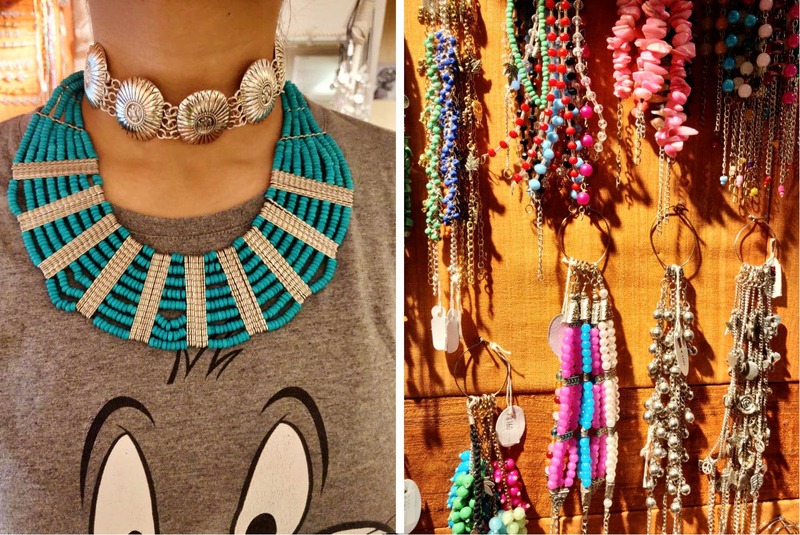 Myra is a cute store with bohemian vibes that's packing a good collection of costume jewellery and handloom accessories. The muted tones of the store bring out the different colors of the pieces. Pick up chunky earrings, ear studs, brass stone necklaces, daily wear anklets--you will not be able to stop at one. Besides these, you'll find a good collection of handloom scarves, stoles, and sarees (INR 400 and above). With the store stocking up on pure silver jewellery, it is also open to customise jewellery for you. There are even nick-knacks of dokra and scrap metal decor pieces, brass boxes and bags (INR 100 and above) to pick here. Though Myra has a good collection of costume and silver jewellery, it definitely has no stock of precious or semi-precious stone jewellery. Their collection in the store is very different from the collection online pages(Instagram and Facebook). So, make sure you check the store out. They have a sale on till July 22, so hurry and grab yourself some pretty jewellery from here. Best of all, MYRA also delivers your buys!